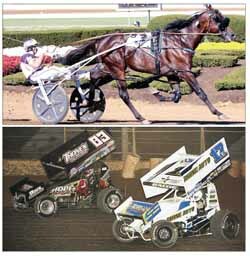 Horsepower - the real kind - returns to the racetrack at the Langlade County Fair this summer. Decades after iron horses replaced the equine variety as an attraction, the exposition will welcome the Wisconsin Harness Racing Association's trotters and pacers for a Sunday, July 28 afternoon program. racetrack as part of the Langlade County Fair July 24 through 28.